The Nelson Mandela African Institution of Science and Technology (NM-AIST) in Arusha Tanzania, accredited by the Tanzania Commission for Universities (TCU), is being developed into a research-intensive institution for postgraduate and post-doctorate studies and research in Science, Engineering and Technology (SET). The goal of NM-AIST is to catalyze the development of SET through the production of highly qualified engineers and scientists by equipping them with a maximum technical, entrepreneurial and leadership capacities to solve African problems.More information on NM-AIST is available on the website: www.nm-aist.ac.tz. The Nelson Mandela African Institution of Science and Technology (NM-AIST) has received support to establish a new regional Centre of Excellence for ICT in East Africa (CENIT@EA). 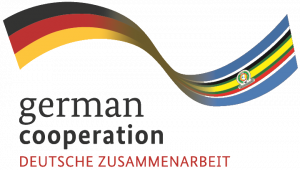 CENIT@EA is initiated by the German Federal Ministry for Economic Cooperation and Development (BMZ) and the East African Community (EAC). Nelson Mandela African Institution of Science and Technology (NM-AIST) and the Inter-University Council for East Africa (IUCEA) are the implementing partners on the East African side while the Carl von Ossietzky University of Oldenburg (UOL) and the German Academic Exchange Service (DAAD) are the partners on the German side. GIZ is the overall responsible implementing agency for the project. CENIT@EA, hosted at the NM-AIST, is established by a consortium of institutions including University of Dar Es Salaam (UDSM), University of Technology and Arts of Byumba (UTAB), University of Oldenburg (UOL), Mannheim University of Applied Sciences (HSM), University of Applied Sciences in Berlin (HTW) and the German Aerospace Centre (DLR) ). The partnership is therefore designed to host a new master’s programme in Embedded and Mobile Systems (EMoS). The CENIT@EA scholarships cover tuition fees applied at NM-AIST, monthly allowance, rent assistance, financial assistance for studies and research as per NM-AIST fee structure. Self-funded/ third-party sponsored candidates are highly encouraged to apply. The program will start at June 03, 2019 and can accommodate a maximum of 50 students. After being advertised for the first phase, the NM-AIST is therefore, hereby extends the application period to 15th April 2019 for all applicants, as narrated in section 7.0 and invites qualified candidates for admission into a Masters of Science in Embedded and Mobile Systems (MSc. EMoS) on offer for 2018/19 academic year as shown in Table 1. The extension is due to various challenges the non Tanzanians faced in both submission of admission applications and paying admission application fees outside Tanzania by using the GePG system. Mobile Computing; Wireless Networks; Software Engineering; Computer Science; Computer Engineering; Electronics Science and Engineering; Telecommunication Engineering; Electrical Engineering, Embedded systems, or related fields. (ii) Working experience in related field of Embedded and or Mobile System will be added advantage. (iii) Submission of official results of Test of English as a Foreign Language (TOEFL) with a paper-based score of 550 (or higher), computer-based score of 213 (or higher) or Internet-based score of 80 (or higher). (ii) Degrees granted from foreign institutions must be authenticated by the Tanzania Commission for Universities (TCU) Foreign Award assessment System (FAAS) or follow the link: http://faas.tcu.go.tz/login.php. (i) All applicants must access, register and fill their application information through the Online Admission System (OAS) available on the website www.nm-aist.ac.tz or http://oas.nm-aist.ac.tz:8080/noas/. (ii) Applicants are required to read and understand all information and instructions. In case admission application is done by a non-Tanzanian from outside the Country, and one is challenged to submit application through online process, send all documents of application in a zip file to the email address: admissionspecial@nm-aist.ac.tz The subject/title should include: applicant’s full name-Country of origin- EMoS, example Juliet Birungi Komutale – Uganda – EMoS. All applications MUST be submitted not more than 15th April 2019 for students intending to commence studies on 3rd June 2019. For assistance or more inquiries on general admission applications inquiries write to admission@nm-aist.ac.tz or call +255 628 183 676 during office hours. For information regarding international assistance such as TCU foreign degree awards certification, VISA or permits applications write to international.office@nm-aist.ac.tz.